Candied Carrots are the perfect side dish for all your Holiday meals. Sautéed and caramelized with a combination of amazing flavors, each bite will be better than the last. 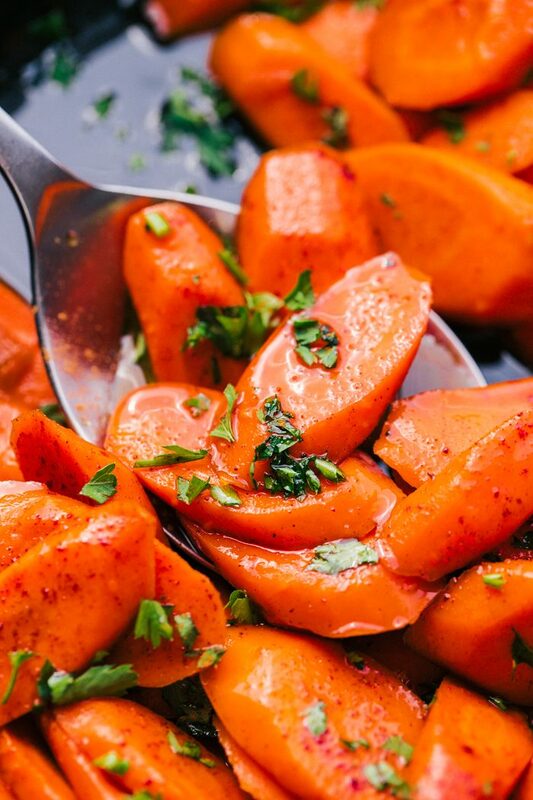 Butter, brown sugar, spiced rum and spices like cinnamon and chili powder take simple cooked carrots and make them taste absolutely amazing! This Candied Carrots recipe will be a great addition to any meal and it will change the way you think about cooking and eating carrots. Candied Carrots have this amazing way of being simple, beautiful, and the taste is sensational. It all begins with fresh cut carrots sliced on an angle to give them a little bit more pizzaz. Then they get sautéed in a little melted butter to give them a soft, buttery texture. If you haven’t been a fan of carrots, this candied carrots recipe is going to change your world. And don’t worry the creamy buttery flavor doesn’t stop there, it just keep getting better. In comes the spiced rum that has this amazing cinnamon and nutmeg flavors that enhances the flavor of a rich brown sugar sauce. The Holidays will never taste better once you add these delicious and easy candied carrots to your dinner menu. In addition to candied carrots these Balsamic Roasted Brussels Sprouts and this Creamy Grape Salad make easy and delicious sides for any occasion. And you can never go wrong with this kid approved Strawberry Fluff recipe. How do I make Candied Carrots? Candied carrots are SO easy to make! 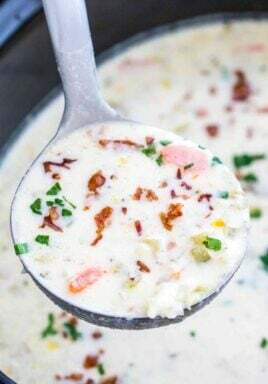 Melt butter and cook carrots until tender. Combine rum, sugar and spices and allow to thicken for a few minutes. 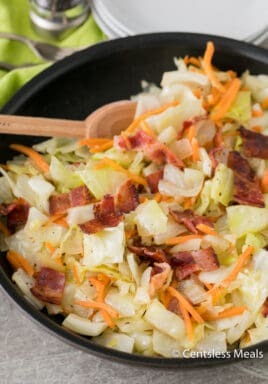 Toss with carrots and serve! How do you make Glazed Carrots with Brown Sugar? Proceed with step one by cooking your carrots. For the glaze, add butter, brown sugar, garlic salt, cinnamon, pepper, chili powder and vanilla extract. Toss to coat the carrots and garnish with fresh cut parsley. What are the Spices used in Spiced Rum? For this candied carrots recipe I like to use spiced rum. 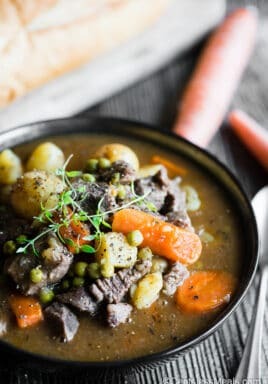 It has tons of amazing flavors that enhance the brown sugar glaze and really infuse the taste of the carrots, because lets face it, carrots don’t naturally have a lot of flavor. However, if you don’t want to use the spiced rum to make your candied carrots, adding pure vanilla extract along with the cinnamon and nutmeg will also do the trick. 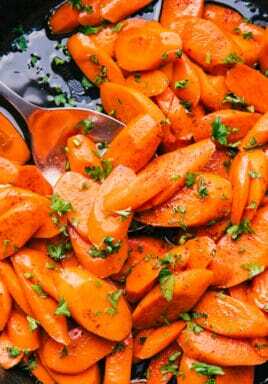 This Candied Carrots recipe will be a great addition to any meal and it will change the way you think about eating carrots. In a large skillet over medium high heat add butter and let melt. 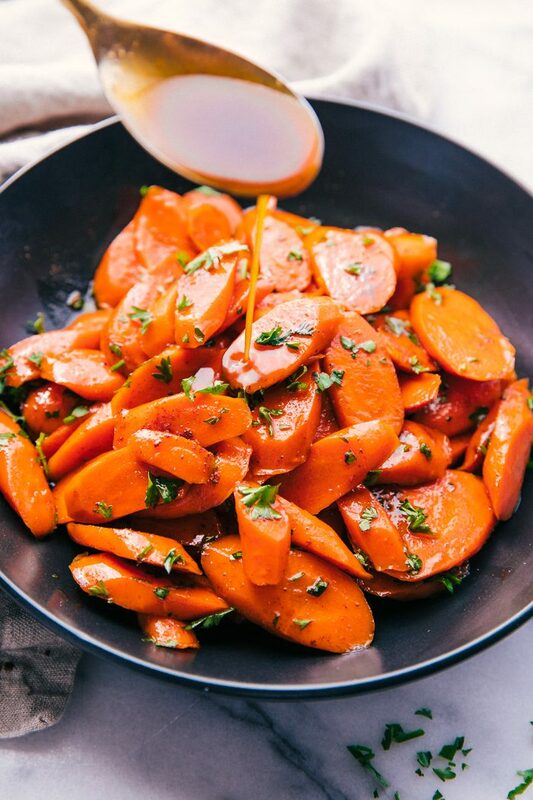 Pour in peeled and sliced carrots and sauté 6-8 minutes, just until carrots are tender. Transfer carrots to a plate and set aside. 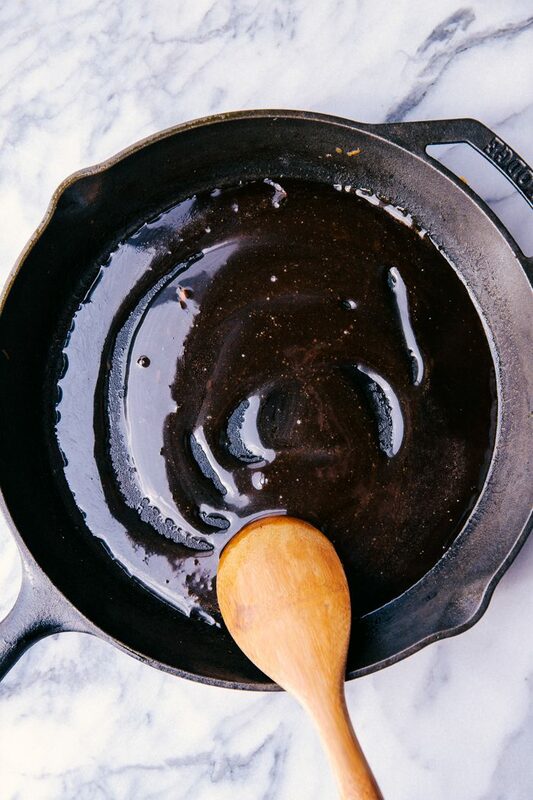 Using the same skillet reduce heat to medium and pour in spiced rum. Whisk about 10 seconds and then add in brown sugar, butter, garlic salt, pepper, cinnamon, and chili powder. Bring to a light boil then reduce heat until sauce begins to thicken. 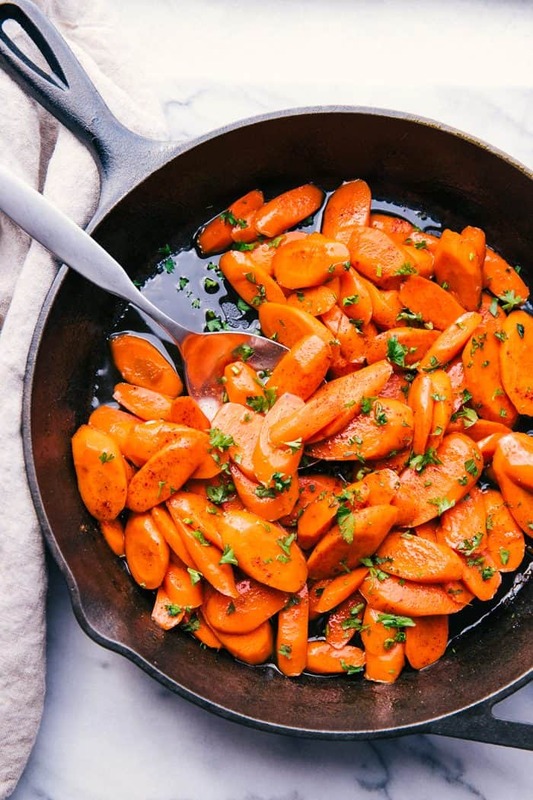 Pour the carrots back into the skillet, toss to coat and garnish with fresh parsley. If you want to omit the spiced rum, use 1 tbsp pure vanilla extract and a ¼ tsp nutmeg in its place.